METAL Liverpool invites you to take part in PROCESSIONS, a mass participation artwork to mark 100 years of Women’s right to vote in the UK, on Sunday 10th June 2018 in London. METAL Liverpool are offering FREE places on a coach to London where you will join other local women and women’s groups, and help carry banners created with artist Cristina Lina (www.cristinalina.com) specifically for the event, or create your own and bring them along! 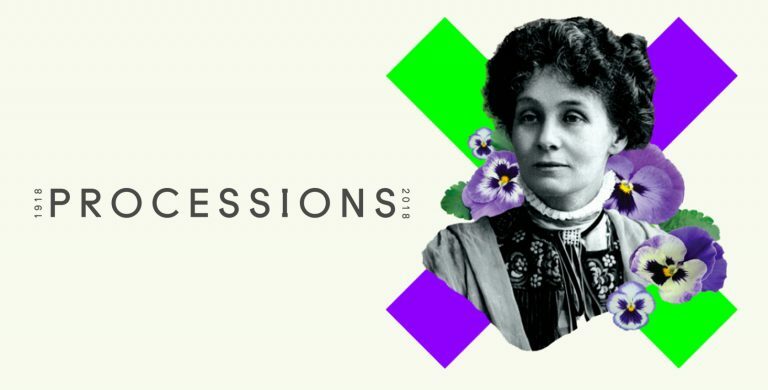 PROCESSIONS is produced by Artichoke (www.processions.co.uk), the UK’s largest producer of art in the public realm, as part of 14-18 NOW, and will invite women* and girls across the UK to come together on the streets of London on Sunday 10th June 2018 to mark this historic moment in a living, moving portrait of women in the 21st century. If you would like to take part and book a space on the coach, or if you have any further questions, feel free to get in touch by emailing naomi@metalculture.com or calling 01517072277.